The following contribution is from Seattle-based independent journalist, David Malekar; who regularly publishes content to the WashCo Chronicle and other online publications. 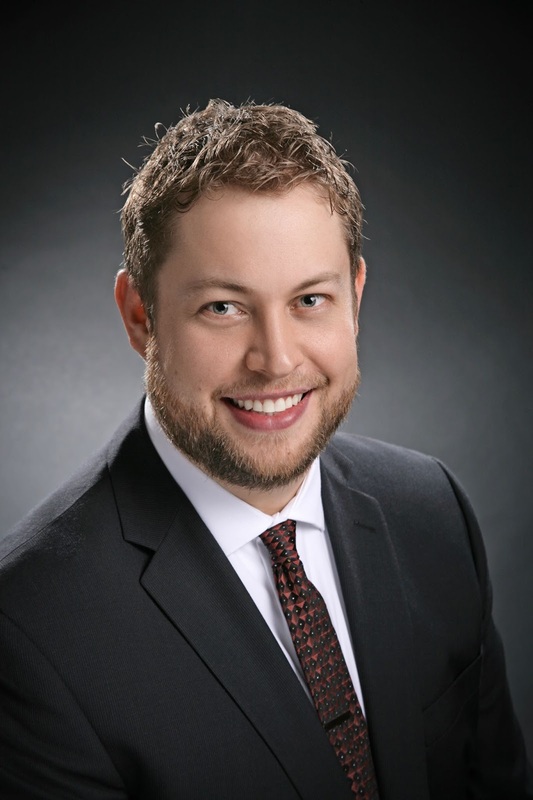 The interviewee, Bryan Simonson, is the State Senate, 41st District for Washington State. Additional information on Bryan can be found on his Facebook page and website. DM: Bryan, it's a pleasure having you on the Liberty Chronicle Independent. 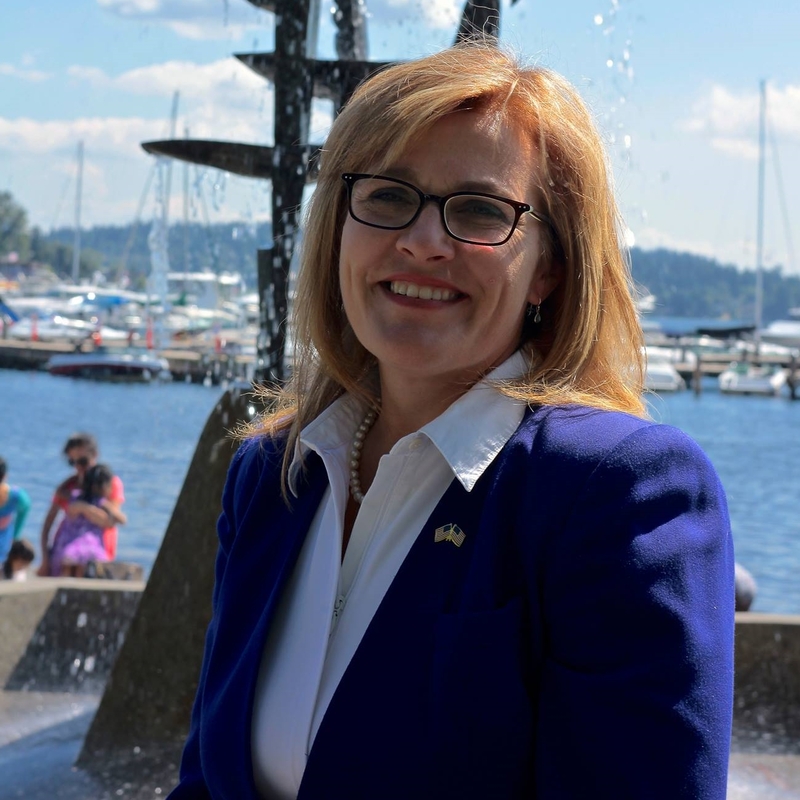 What can you tell the readers about your background and what inspired you to run for Washington State's Senate, 41st District? BS: Thank you, David! The pleasure is all mine. I've been interested in politics from a very early age, but for a long time I had such little faith in politicians that I tuned it out completely. Like many libertarians, that all changed for me when Ron Paul ran for president. For the first time in many years, I had a belief that, as rare as it was, there actually was such a thing as a principled politician. And not only that, his message was resonating strongly with so many people. I realized I had to get active again. So I went to work volunteering for the Ron Paul campaign. 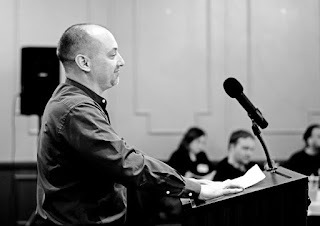 I went out and caucused with Republicans, and I became a Ron Paul delegate. In my precinct, a very nice older gentleman was present and gave me some advice. He pulled me aside and told me how important it was that I was there, and that there were so many young people out caucusing. He told me to make sure I came back the next time because the next generation will be in charge soon, and it's very important our voice is heard. But it was not to be. Because as nice and accepting as the rank and file members of the Republican party are, the leadership refuses to accept anybody who will actually stand up against big government. No sooner than we libertarians gained our voice, Republican leadership took it away through a series of rules changes. These shenanigans were particularly egregious in King County, where Lori Sotelo repeatedly disavowed Ron Paul delegates, and even kicked them out of at least one caucus venue. I left the Republican party. And if that same gentleman were to ask why I am not showing up to the Republican caucuses, I would have to tell him to ask Lori Sotelo. My final inspiration to get onto the ballot arrived with the I-405 tolling scheme. Everything there is to hate about government is featured front and center in this deal: Crony-corporatism, taxes upon taxes, and a "solution" which not only doesn't help traffic congestion, but made it worse. The incumbent in my district played a key role in this nightmare. And he happens to be Republican. The chance to take down a typical big government Republican is all the inspiration I need. DM: Sounds like you're coming out strong as a fighter. Many Libertarians are still looked at as the "underdog." However, we can see a dynamic shift in the political scene as you mentioned, during the Ron Paul campaign. In the Libertarian spirit of Ron Paul's campaign, what truly sets you apart from your Republican incumbent counterpart? BS: That I am, David! It's certainly true that I will be an underdog in terms of funding. My opponent is likely to raise upwards of half a million dollars. However, when it comes to ideas, he is as bankrupt as any established politician. For example, as a sitting member of the Senate Transportation Committee, he has had several chances to stop the now infamous I-405 tolling disaster. Common sense would tell anybody that reducing the number of general purpose lanes would slow down traffic. Now that this entirely predictable consequence has come to pass, he and other Republicans are falling all over themselves to blame Lynn Petersen and the WSDOT. They aren't entirely blameless, certainly. But you can hardly blame them for the fact that 65% of toll revenue goes directly back into the pockets of the toll system operators. Or the fact that Steve Litzow sponsored new gas taxes that have just gone into effect, and will increase yet again before the year is out. So basically he's just another big government tax-and-spend-and-tax-again Republican. All I have to do is walk the walk on lowering taxes, and reducing big government bloat, and I can beat his ideas. But we can do better. I'm shooting for the moon! DM: What information can you give our readers, about long term actions during your term? End the de-facto monopoly of Comcast by requiring that all fees generated by publicly owned infrastructure be given directly back to the people. This will encourage smaller competitors who cannot afford ludicrous usage fees imposed by municipal authorities to piggyback on existing underground wiring. End the Washington State Liquor Control Board's unfair discrimination against the cannabis industry. Lower the insane 75% excise tax on marijuana businesses. It kills jobs, and only encourages the more dangerous drug known as alcohol. End the legalized local monopolies of car dealerships by allowing the direct sales of vehicles all over Washington state. This will save car buyers an average of $1,500 dollars on their purchase, and could be much more! Empower justice through jury nullification by passing a law requiring judges to instruct juries to pass a not-guilty verdict in cases where passing a guilty verdict would be a miscarriage of justice. Nullify the drug war by barring the DEA from executing raids in the state of Washington on legalized drugs. Nullify domestic surveillance by prohibiting the state of Washington from aiding and abetting the activities of those 4th-amendment scofflaws at the NSA, CIA, FBI, DEA, and IRS. Promote economic and social justice by adopting a basic income welfare system, rather than our current system which disincentivizes-- and sometimes disallows-- any progress to move out of poverty. Improve education by allowing more school choice. Continue to build upon our charter school progress, and move beyond the never-ending testing paradigm. There is SO much more where that came from, David! DM: Quite an extensive list, especially if it keeps going. Let's expand on schooling a little more. This is a hot issue for your area. What are your plans, such as interaction with the community to help them build a better schooling system? BS: We absolutely need to empower a union of parents out there to be able to do what's best for their families. One way to do that is to allow "parental triggers," which give parents the ability to change the administration of a poorly performing public school-- including the ability to turn it into a charter school. And who would object to a fail safe measure like this? DM: One would see the validity of your point. How can our readers get involved that want to see more from your campaign? BS: Thanks for asking! They can Like me on Facebook, and follow me on Twitter @bryan_simonson. 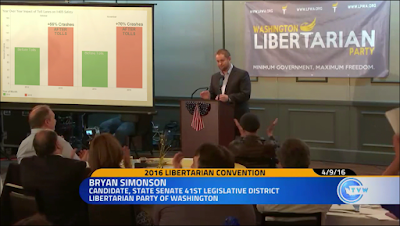 Visit BryanSimonson.com and subscribe to email updates, sign up to volunteer for canvassing, or just send a small donation for liberty. And, they're always welcome to message me directly at bryan@bryansimonson.com. DM: Bryan, it's been a pleasure having you here. Following up with you on your campaign will be a must. What final thoughts would you like to close out with to our readers? The most important thing to remember is that we don't have to stand by idly while our liberties are taken from us. There is another option: Fight! There is no better place to fight than Washington state: Our top two primary means you can-- and MUST!-- vote your conscience without regret. There is no better time than NOW: The Republican and Democratic front runners have are universally reviled. Libertarians offer a better option now, when it is needed most. We alone align good intentions with good results. We alone will get the government out of your business, and your bedroom. We alone stand in defiance of the rampant corruption of crony corporatism and special interests. And we will take this fight local until we win back our liberty, inch by inch. The following contribution is from Seattle-based independent journalist, David Malekar; who regularly publishes content to the WashCo Chronicle and other online publications. The interviewee, Michelle Darnell, is the 48th District Legislative Libertarian Candidate for Washington State. You can find more information on Michelle at the website michelleforthehouse.com and follow her on Facebook. DM: First question is the one many are buzzing about. In the event that you win, you would be the first ever elected U.S. Libertarian Woman in History? MD: Yes, I would be the first female Libertarian elected to a legislative office. I am told it can't be done, but I see that as a challenge. It is time for women to lead a political and spiritual revolution in this country. Our homes, our children, and if I may say . . . our men are under attack. I am hearing from women all over the country, that for the first time in their lives they are getting involved in politics. No disrespect to our male counterparts, but enough is enough. With respect to the Libertarian party, Women can offer a resilience and a compassion that the party has been lacking. The party has been a bit too cerebral. You must change the heart before you change the mind and women can have some perspective that the party has lacked. Frankly, I believe the LP is the place for feminists but a new kind of feminism; one that elevates men, women, and the family (rather than put anyone down). Yes, I aim to be the first female libertarian elected and I reserve the right to be a Woman! DM: Have there been many challenges thus far, with having so much to stand for as the potentially first elected Woman Libertarian? MD: No. 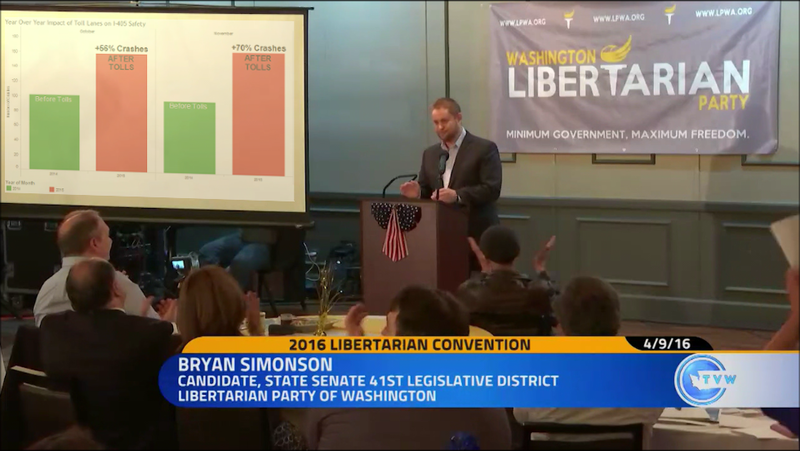 There is a challenge with drawing women to the party and getting the libertarian message across. There are a lot of misconceptions. For example, it is often thought that we don't care about the poor and that we would dismantle the safety net immediately upon taking office, but that is not the case. There are of course some extremists, but for most of us we are familiar with the struggle and recognize many people are still suffering from the consequences of the recession. We just don't believe that the government can respond with the agility and efficiency of small private organizations and individuals; and if we were allowed to keep more of our own money in our wallets and in our communities, we could find our own solutions. The reality is that we care so intensely, that we sacrifice our time and resources to try to change the world and politics in our state. We see the damage being done. The homeless are spilling on to our street, our children are suffering as a result of a broken education system, our health care system is out of the reach of many (particularly the working poor). Our freeways are a gnarly mess. Our businesses that support 52% of the work force, are burdened by unnecessary taxation and regulation; while the largest corporations corporate welfare. We are 2.4 B short on education and we give companies like Boeing $8.7 B in tax relief, shifting the burned burden to elsewhere. It would seem most of the leadership on the left and the right are out of touch. In 2014, I had an elected official tell me that the recession was over, to which I responded, "We ain't feelin' it." DM: Let's get to the core of your campaign. What are your major points to address for 2016? MD: To reiterate. transportation, education, relief for small business so that they create jobs and increase wages, and repealing the Deed of Trust Act to stop non-judicial foreclosure in our state. DM: What are going to be the biggest challenges for those and how do you plan on overcoming their obstacles? MD: Funding. Funds are needed to get the message out, and I don't expect funds from the same sources my opponent will draw from. My funds will come from the people and small businesses, many of whom are struggling financially them selves. Many feel their vote or dollar can't possibly make a difference, but I know that's not true. I would rather have ten dollars a month from 1,000 people, than $1,000 from 10 people. We will be running a tight campaign. I am used to operating on a shoestring! I had 3 teenagers during the recession! The main thing is that I want people to engage. We have been told that we must vote the lesser of two evils and that our vote and participation doesn't count. These are lies to keep us from engaging; and apathy and complacency are enemies of justice and freedom. At the end of the day we can't blame the government, big labor, or the big corporations for the demise of our state; the blame lies with us. If we accept responsibility, we can reclaim the power we actually have! I am an example. I am just a Woman from Ferndale; but because I chose to engage 7 year ago, I have had some amazing successes and experiences, and have met some incredible people along the way. Together, we can change the world; one heart at time. DM: You speak a lot on the foreclosure issues and the repeal of the Deed of Trust Act; how does the person who is currently living on the street know that your plans will put him into a home? MD: It may not put him immediately in a home, but it will stop the practice of turning homeowners in to renters. That is causing an increase in rents, by leveraging the banks to negotiate modifications from people who should legitimately qualify. Banks who benefited from tax payer bailout should not be kicking tax payers out of their homes, or tricking them in to foreclosure. Since our AG [Attorney General] is not shutting down the foreclosure mills, we must do so by repealing the Deed of Trust Act. It also should be noted that there may be money on the table as banks should reimburse our state for the recording fees they avoided paying by creating the MERS system, and side stepping out 200 year old title recordation system. To get that fellow in a home, we need to reduce the costs associated with building affordable housing by reducing regulation, taxation, and zoning rules. We need to recover some of those recording fees that were supposed to go toward building affordable housing. Banks have sucked the marrow out of our communities and we need to stop that from happening. Repealing the Deed of Trust Act and making it hard for banks to foreclose, is one way to to this. DM: You've laid out quite an intensive plan so far. What do you want to see happen within your first six months in office? MD: Like Sonny Bono, repeal as many unnecessary laws as possible! Work to get government out of our bedrooms, out of our businesses, and out of our way. Identify areas of waste and excess. Repeal the Deed of Trust Act and leverage the banks to negotiate fairly with people, and not disrespect our laws. End double taxation (tolls). Work to break up the monopolies by loosening up regulations. Increase school choice via charters schools, and a voucher system. I am in communication now with policy advisers from the left and the right perspective; to identify specific laws that I can change to achieve these goals and that will likely pass muster. I would hope to do everything I can to free up the market and free up people so that they can enjoy increased liberty, justice and opportunity. That is my goal, anything I do will be measured by that intent. DM: What will be your target long-term goals in office? MD: I want to be the first Female Libertarian elected. After that, I am not sure. I am pretty focused with that goal. I have never really wanted to be a politician. I just want to BE the change. I suppose what I do next will depend upon what the people want. I am inclined to want to take a break from politics as I have been working extremely hard for over 7 years and miss my life and family, but I will go where I am called. DM: Thanks for all the information we were able to cover today, Michelle. A lot of eyes are on your campaign. What finally thoughts / points would you like to leave for our readers? MD: I really appreciate the support and the energy of my campaign volunteers. It is a challenge to prevail in a two party system and I can not do it will out a passionate team behind me. I thought long and hard how to run and decided I had to be true to my heart and all those who are valiantly working to restore power, justice, and liberty to the people of my state. They call themselves Libertarian, and I am proud to carry the flag for them. Together we can be the positive change Washington yearns for. BE the change and join my team!